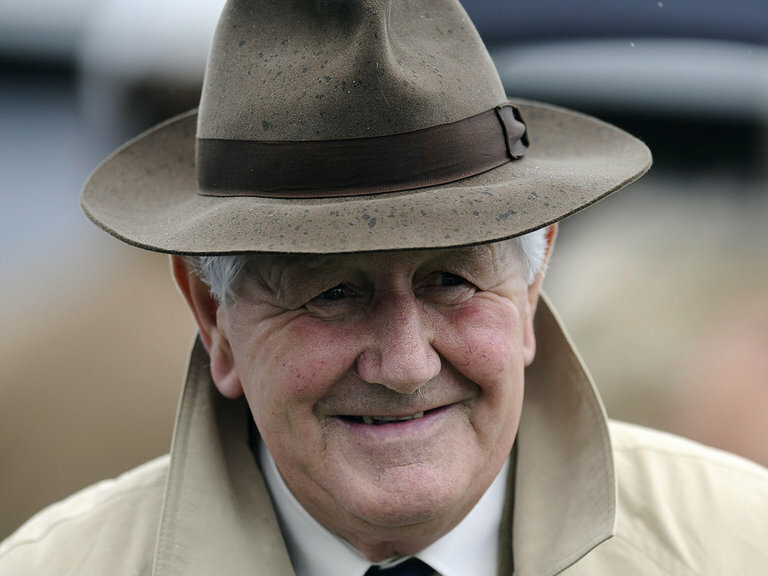 Veteran trainer David Elsworth, 77, has been involved in horse racing, in one way or another, for 60 years. However, he is probably best known as the trainer of Desert Orchid, winner of the King George VI Chase (four times), the Cheltenham Gold Cup and the Irish National. However, he also enjoyed many other notable successes, including Rhyme ‘N’ Reason in the 1988 Grand National and Barnbrook Again in the 1990 Queen Mother Champion Chase. Elsworth won the National Hunt Trainers’ Championship in 1987/88 and, in his heyday, trained 143 horses at Whitsbury, Hampshire on the edge of the New Forest. Having decided to concentrate his efforts on the Flat, he recorded his sole Classic success in the 1990 Irish 1,000 Guineas with In The Groove, who also won the Juddmonte International Stakes and the Champion Stakes that year, and the Coronation Cup the following year. Far and away his most popular performer on the Flat, though, was Persian Punch, a giant, courageous chestnut who won the Henry II Stakes (twice), the Doncaster Cup, the Goodwood Cup (twice) and the Jockey Club Cup (three times) between 1997 and 2003. Persian Punch suffered a massive heart attack, collapsed and died in action at Ascot, as an 11-year-old, the following year, having won 20 races and over £1 million in prize money. Although training on a smaller scale than was once the case, Elsworth has continued to be successful since the move. He saddled Snoqualmie Boy to win King Edward VII Stakes at Royal Ascot in 2006, Barshiba to win the Sandringham Handicap at the same meeting in 2007, and the same horse to win the Lancashire Oaks at Haydock Park in 2009 and 2010. More recently, he also won the Juddmonte International Stakes at with 50/1 outsider Arabian Queen, who held on gamely to beat Horse of the Year Golden Horn, who’d already won the Derby and the Coral-Eclipse and went on to win the Irish Champion Stakes and the Prix de l’Arc de Triomphe. Not bad for a man who was once took a job as a market trader to make ends meet, eh?